In2Connect now offer Test Sockets from Sullins Connectors. Since 1971, Sullins has been the leader in developing and delivering reliable, cutting-edge test socket connectors for diverse applications, temperatures and industries worldwide. In2Connect are specialists in 200/250 C High temperature, long life connectors specifically designed for burn-in oven and automatic temperature testing applications; sockets for Test & Burn-in of wafers and IC packages, sockets for Test & Burn-in of LCD modules, sockets for Test & Burn-in of SIMM and DIMM modules and customer specific test socket contactor solutions. Each Burn-in chamber will represent a precisely controlled test environment over a range of time and temperature settings. System electronics are able to heat to the chamber and to apply high voltages to fully exercise the devices on the burn-in board. Sullins Connector Solutions has introduced new high-temperature, high-current and high-reliability test and burn-in sockets. 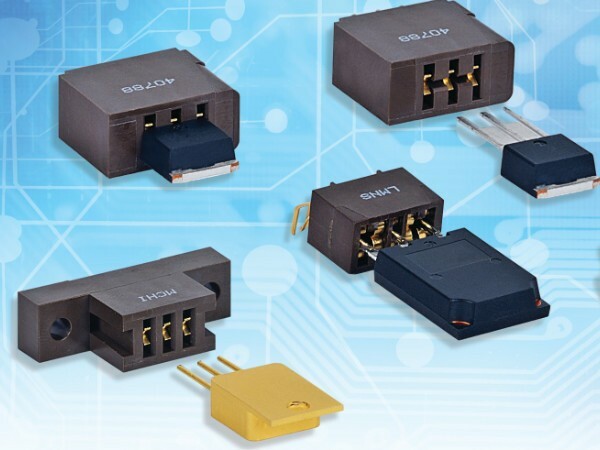 The new transistor sockets, axial sockets, MOSFET sockets, and other custom test sockets notably feature an operating temperature of up to +250C and can achieve a life expectancy of from 500 to 5000 actuations to help OEMs lower the cost for each device tested. The series’ current rating is up to 3A per position. Featuring an open, wide lead-in design, which can serve as an alternative to clamshell type sockets, the test sockets are engineered to promote maximum heat dissipation and easy insertion. They accept over 20 of the most popular TO packages ranging from TO-3 to TO-273. Axial sockets support diodes with lead diameters of 0.015 to 0.040 inch. The test and burn-in sockets are supplied with contacts featuring 10-30 micro inches of gold plating to offer OEMs the optimal combination of price, electrical performance and durability. Additionally, the parts are available in Kelvin contact designs and in a wide array of materials, plating, sizes and configurations to suit virtually any application-specific requirement. Burn-in boards interface between the burn in system and the socket. Each burn-in board connects directly to the system architecture through a backplane at the rear of the chamber. Burn-in boards are often complex, multi-layer boards designed to handle extreme temperatures and are designed according to the customer’s specific application. Burn-in sockets and connectors are the interface between the semiconductor device and the burn-in board. These often provide a challenge in the burn in process because all pins need to be making good contact for a valid burn-in outcome ~ not a problem when you choose a Sullins test socket. Sullins provide expert engineering of custom designs for almost any diode/MOSFET/transistor. Designs are available for replacing any clamshell sockets for maximum heat dissipation. We pride ourselves on offering the fastest lead time for custom designs with low minimum order quantities. Test sockets are ideal for high-temperature burn-in PC board testing, design stage component testing/evaluation and burn-in ovens. They are commonly used in high power device tests, highly accelerated life test, communications equipment, medical instrumentation, power converter and power supply applications in a wide range of industries including aerospace, automotive, military, and geophysical environments, along with research and development.